Getting around San Francisco with a group has never been easier than with a modern coach rental from San Francisco Charter Bus Company. 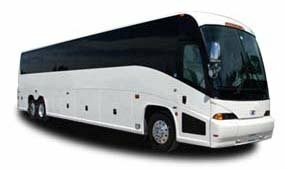 The charter buses in our rental network include buses of multiple seating capacities to suit groups of all types. Rent a minibus for your next company social gathering or a spacious full-sized coach for your upcoming school field trip. You can rely on San Francisco Charter Bus Company to provide the best buses and transportation logistics for your event. The 25-passenger is the most spacious model of minibus in our network of rental vehicles. Outfitted for trips of all distances, your group will stay comfortable while being transported in San Francisco and beyond. Sit back and relax in this comfortable minibus while we handle the driving for you. Need a few extra seats? The 20-passenger minibus is a step above the 18-passenger minibus, giving guests a little more space during travels. Perfect for a night out on the town or even traveling throughout California, the 20-passenger minibus is a wonderful option for small- to medium-sized groups. Large groups can rely on a 56-passenger charter bus from San Diego Charter Bus Company for all travel needs throughout the Bay Area. These motorcoaches have plenty of space for all types of large-scale event travel, ranging from sports team trips to wedding shuttles. Although the 18-passenger minibus is the smallest option among the buses we charter, it doesn’t sacrifice comfort. This minibus still boasts comfortable amenities while offering a more compact ride for groups who may not need a full-sized coach. Easily zip around San Fran’s busy roads for a variety of events in this compact bus.